Hello fall! What better way to really celebrate than with new things. 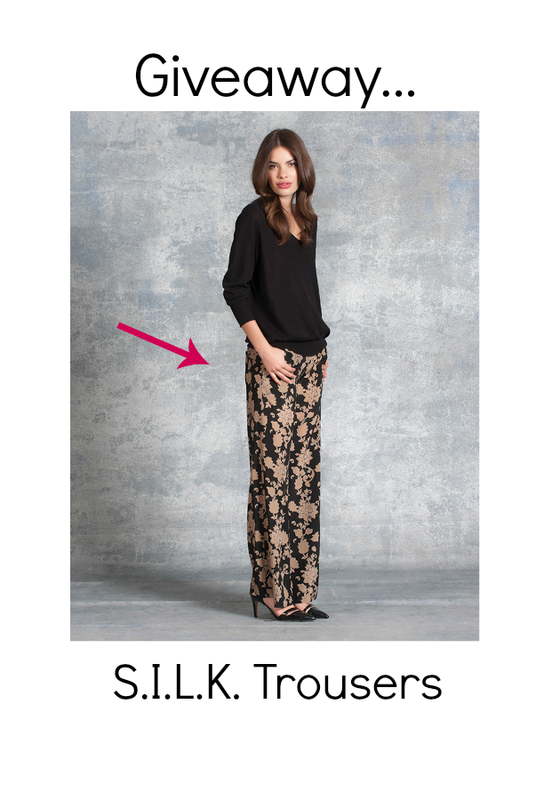 The team at S.I.L.K have graciously offered TW readers a chance to win a pair of fancy trousers from the 2014 Fall/Winter Collection that I wish I could get my hands on right this moment. These is nothing like a soft pair of silk pants to give a little luxury to simple days. The contest will run starting today11/05/2014 and ending on 11/12/2014 at midnight. The winner will be announced and notified on 11/14/2014. This giveaway is open to followers with shipping addresses in the USA.